Tim and Rose arrived in Karratha from South Australia in January 2010 and put down roots – they’ve now got two children and a thriving business. Tim has a broad set of skills alongside over 25 years’ experience as an electrician, and has worked within the underground and heavy industrial environment for over a decade. He also possesses a significant degree of expertise in deploying emergency breakdown and recovery services. 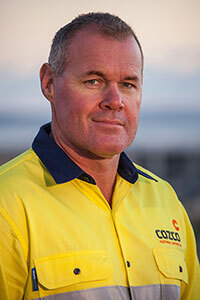 Tim’s drive, ambition and reputation, together with the skills he has accumulated over the years are what led him into opening Cozco Electrical Contractors in December 2011. As the founder, director and manager of Cozco Electrical Contractors, Tim prides himself on the high standards that he sets and achieves within his company – alongside his passion for excellence within which safety is paramount. Rose has over 25 years’ administration and accounting skills and nearly two decades in management roles – core skills that are vital to the ongoing successful operation of Cozco Electrical Contractors. Rose’s professional nature drives and motivates her to achieve Cozco’s priority business goals. 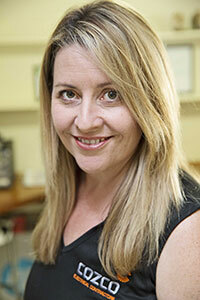 She also possesses exceptional troubleshooting abilities across management and technical issues. Rose’s experience with planning, marketing and logistics ensures that Cozco Electrical Contractors is able to deliver consistently high standards of performance – a difference that’s experienced by the company’s clients. Her vision for the company is to continue its growth whilst maintaining optimum customer satisfaction. Contact Cozco Electrical Contractors or call us on 0408 763 833 today.